First written notes about Nádasdy Castle are dated back to 1327. The Castle had many different owners during the past few centuries. It became the property of the Nádasdy family in the 15th century. During this period it turned into a very different building with a closed courtyard, several wings, and get surrounded by defence lines. When visiting the Castle we can see many different styles at the same time. In architecture, during the construction of the buildings, the renaissance style became more dominant contrary to baroque, thus the characteristics of both styles are present inside and outside of the buildings. We can see amazing renaissance style arcades in the courtyard, while inside of the building the fabulous baroque style halls and saloons fly us back in time. There are many permanent and temporary exhibitions open for visitors. 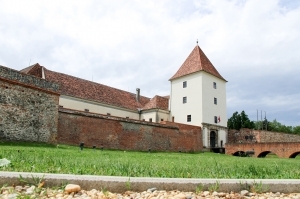 Visitors can learn about the history of the Castle, the history of the famous Nádasdy Hussars, visit different rooms and parts of the building and see the important, precious and cherished work of arts. 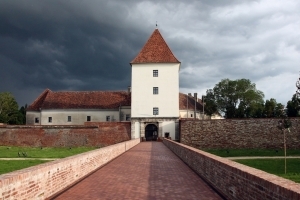 The Nádasdy Ferenc Museum is located within the Nádasdy Castle, where many kinds of permanent and temporary exhibitions and events are open for visitors on a variety of topics. The Nádasdy Ferenc Museum was founded in 1951. The area of the museum is 1300 m2. The Castle has several architectural characteristics such as baroque, renaissance, and classicism. Moreover, the furniture and equipment of the past few centuries fly us back in time. One of the most famous part of the Castle is the hall, which is deservedly listed as one of the most beautiful halls in Hungary. At the time of the construction of the hall it was common to paint ancient-scene frescos on the walls, but Ferenc III Nádasdy decided to follow a different path, so he asked Hans Rudolf Miller painter to paint battle-scenes instead. The frescos show glorious military actions of the famous Black Bey, different battles, and we can also discover the Hungarian flag, the coat of arm and the Holy Crown in the background. Later on, those battle-scenes were complemented by biblical-scenes. The interesting feature of those latter frescos, created by the painter István Dorffmaister, that due to the shading technique used by the painter, the visitor has the impression that the pictures could be simply taken off the wall. One of the most popular exhibitions presents the famous Hussars, who are actually the trademark of the Hungarian military history. Visitors can get familiar with the Hungarian army through a permanent exhibition about the Nádasdy Hussars. The exhibition was founded in 1983, when the officers of the Nádasdy Regiment gifted a significant collection of memorabilia to the Museum. The Museum also inherited memorabilia and equipment of the officer's mass of Sopron. Officers also donated a great amount of items, containing personal belongings. The exhibition provides us introduction to the challenges and triumph of the Hussars and represents military items such as lances, sabres and the equipment of the light cavalry soldiers. While visiting the Castle, it is worth to check the cherished Nádasdy Clock, which was owned by the Nádasy family for centuries and considered as the most precious item of the exhibition. We can see furniture and different items from the past in almost every room, which guide us through the style and history of the past five hundred years. Among those furniture we can see the most interesting item of the 16-18th century, a cabinet, which was widely used in Europe, but wasn't really popular in Hungary. The decoration of the cabinet, which is still breathtaking, means that the former owner of the item was a very wealthy person. And those are only some of the items we can see on the exhibition. Moreover, in the Museum we can visit the Carta Hungarica cartographic exhibition, and exhibitions about the history of Sárvár, the history of printing and book publishing, and arts and crafts. It is worth to visit the Castle, because we can discover the history throughout the variety of topics and those provide us with a very colourful and interesting overview of the past.